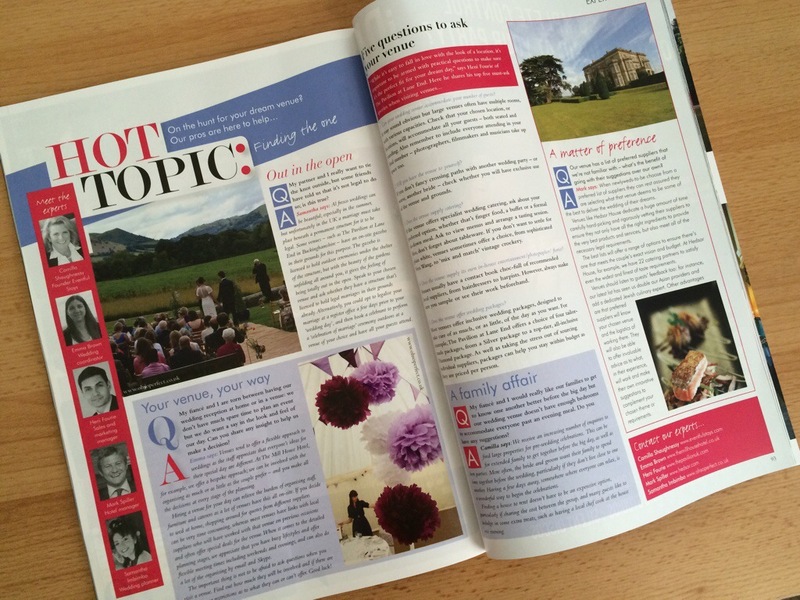 Star Letter in Your South Wales Wedding Magazine! So, as some of you regular blog followers may know, I’m going to be a bridesmaid in December (sans clipboard!) 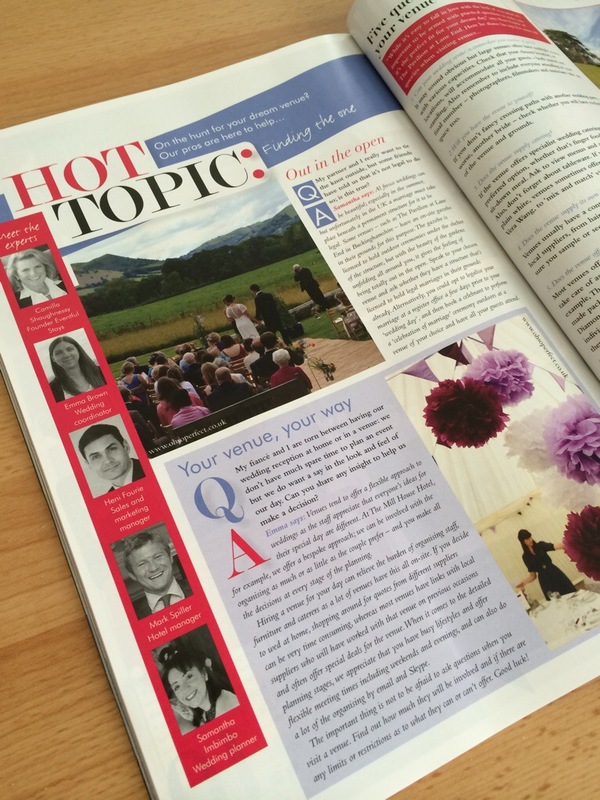 and you real avid blog fans you’ll also know that I appeared giving my expert advice in the May/June issue of Your South Wales Wedding magazine. 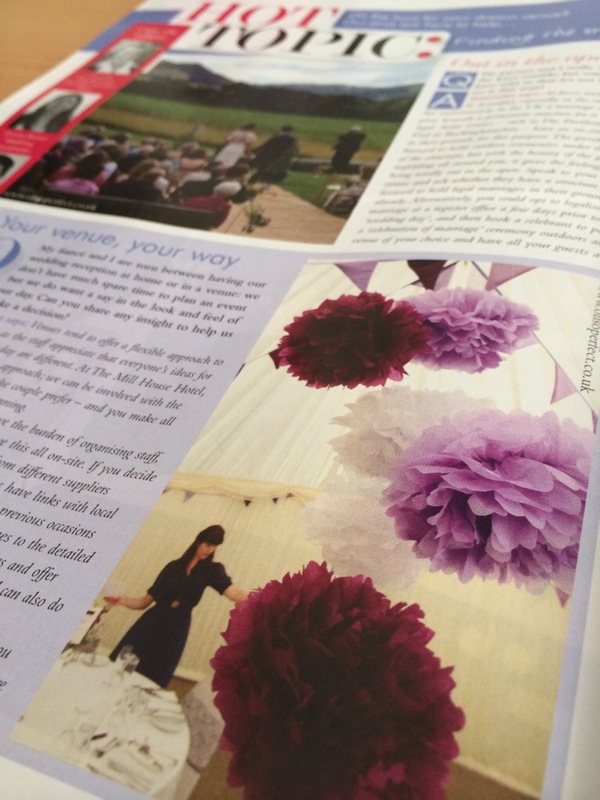 Well, a sneaky bride by the name of Victoria Price has only gone and got me featured in the July/Aug issue again, this time with a snap of me trying on my blue bridesmaid dress a few weeks back in the garden! It’s only gone and made the ‘Star Letter’ too! Now then, if the cheeky madam had warned me of her plans I might have at least made a little effort to style my hair before hand, but nooo – you can imagine my surprise when I opened my latest issue and spotted it in there! 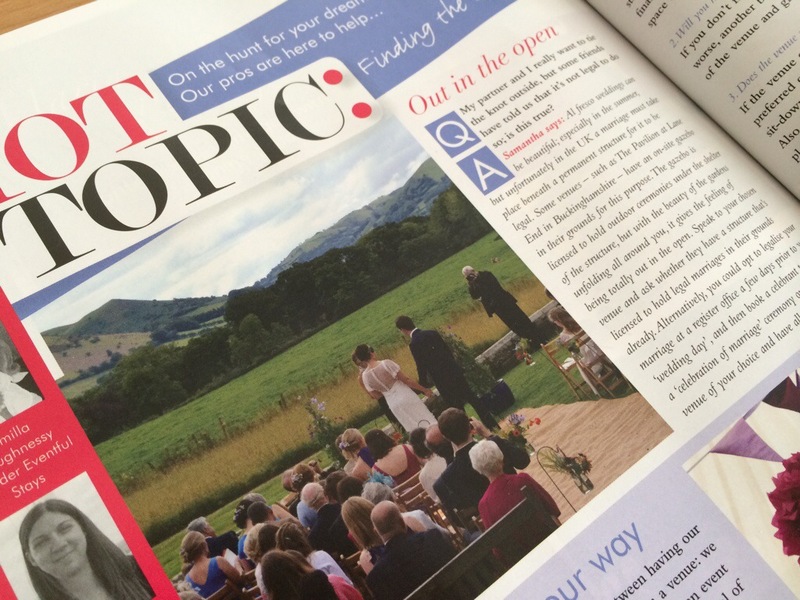 So, if you haven’t seen it yourself already, go out now and grab your July/August copy of Your South Wales Wedding magazine to see me in all my bridesmaid – ahem – glory. Need help planning your wedding day? Visit www.ohsoperfect.co.uk for our full list of wedding planning, styling and coordination packages and services. Planning problems? 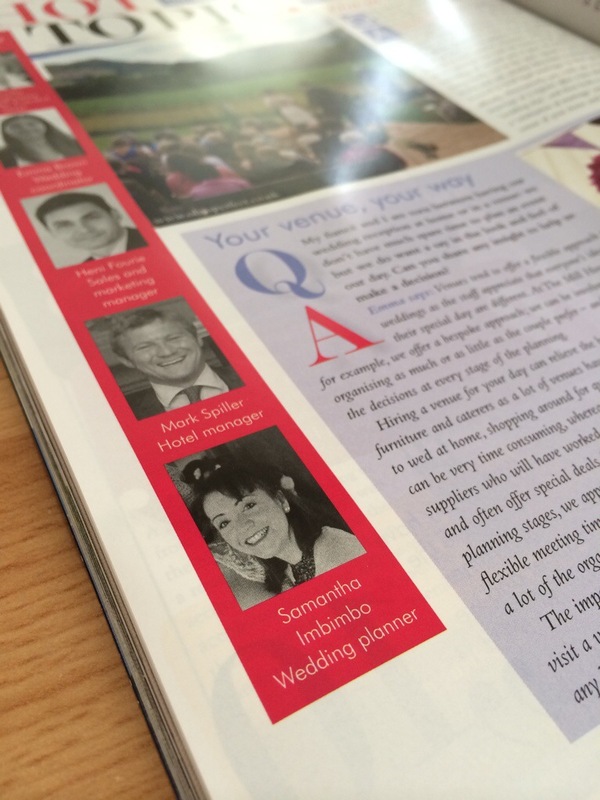 Your County Wedding Magazine asked South Wales’ top experts to guide you through the what, where and when of weddings… including our very own Oh So Perfect Wedding Planner, Samantha Imbimbo. Time seemed to stop as he bent his knee, your heart raced as you spied the unmistakeable glint of a diamond solitaire and somehow, you managed to blurt out the word ‘yes’ through tears of joy. Welcome to the whirlwind that is planning your wedding. That first flush of engagement fever is to be savoured but it won’t be long before the planning starts in earnest. “Make sure you spend some time celebrating your new status – after all, there’s so much love in the air right now – but once all the chaos and celebrations fade, it’s time to get down to business,” advises Samatha Imbimbo of Oh So Perfect –Weddings and Events. 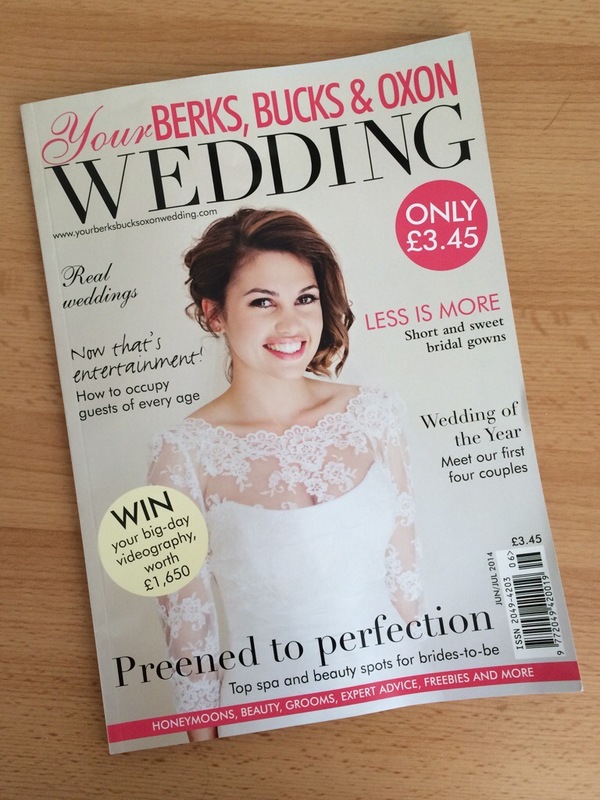 Pop into your local newsagent now to pick up your copy of the May/June 2013 Your South Wales Wedding magazine and turn to page 49 of the current issue to read on.